Adorama will not collect sales tax on orders shipped outside NY and NJ. As always, if you have any issues, you can reach out to us at deals@appleinsider.com and we'll try and help. Don't forget to copy you coupon code below to ensure your savings at checkout. The 2018 refresh of the iPad Pro is a major shakeup for the product line, with the latest bringing massive changes without changing the screen size of the largest 12.9-inch model. For this year, Apple has put its biggest-screen iPad on a diet, trimming the physical dimensions on the edges to give it smaller bezels, and making it a svelte 5.9 millimeters thick. While the screen is the same size, the technology driving it isn't, as it inherits the same LCD Liquid Retina display as used in the iPhone XR, including its pixel masking to produce the round corners, and a new backlight design, while also retaining its wide-color, TrueTone, and 120Hz ProMotion technology. The external changes also mean the removal of Touch ID and the shift to Face ID. 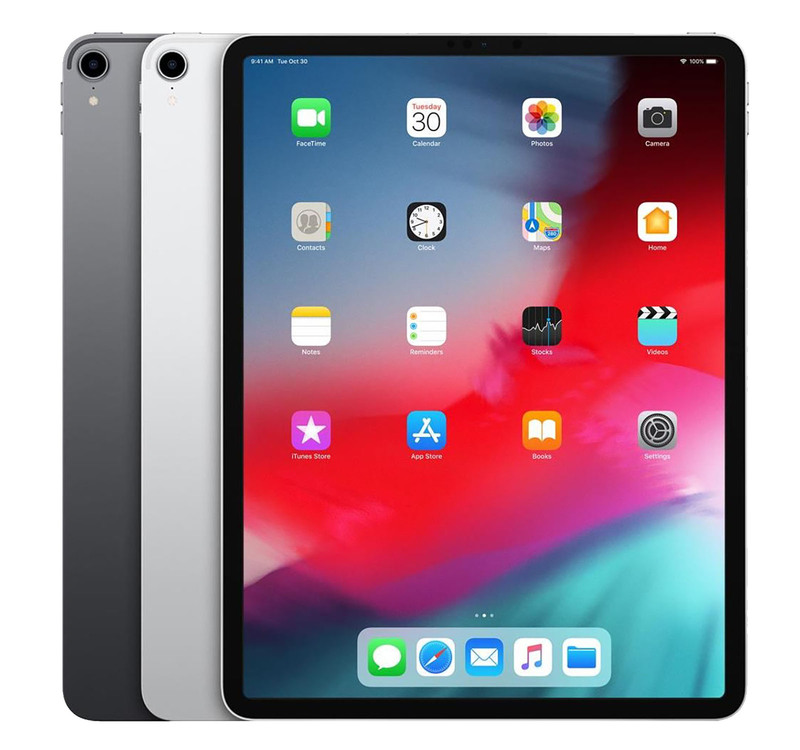 While it uses the same core technology as used on current-generation iPhones, the iPad Pro benefits from the lack of a notch in the display, as well as Face ID working regardless of the iPad's orientation. Along with the TrueDepth Camera on the front, the camera on the back is the same as used on the iPhone XR, including 4K video recording and Smart HDR modes. Inside is the A12X Bionic, an updated version of the system-on-chip used on the iPhone XR and iPhone XS, with it using four performance cores and four efficiency cores in the processor along with the improved 8-core Neural Engine. On the graphics side, it is said by Apple to be on a par with modern game consoles, using its Apple-designed 7-core GPU. The side Smart Connector has shifted to the back side, low and close to the bottom of the device. A bigger connectivity change is the replacement of the usual Lightning port with USB-C, which allows power users to take advantage of USB-C devices on the market, as well as to output their work to a 4K external monitor. The biggest iPad Pro in the range is still one of the most powerful on the market, and with its makeover, it is leaner and meaner than ever before. Is the iPad Pro really a pro device? Apple seems to think so, but that is the question we set out to answer while looking at the new 12.9-inch iPad Pro by putting Apple's biggest and priciest tablet yet into the center of our professional workflow.